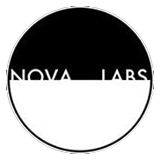 Nova Labs – Wave Two Launch Party, New Store Items, More to Come! Wave Two Launch Party, New Store Items, More to Come! On Saturday, Oct. 5th, we had our second release party, putting out albums by Obsidian’s Dream, Neon Lushell, Matthew As More, and a remaster of the classic Yet On A Budget album, as well as the Jordan Mayland And The Thermal Detonators EP and single. It was a night to remember. The theme of the show was “No Tacos,” a response to the taco buffet Bistro On Broad generously threw for us at our label launch party back in July. The joke was supposed to be, ‘no tacos, but there’s hot dogs!’ And indeed, there were many hot dogs (and veggie dogs) on hand. A little ways into the show, though, a shipment of tacos showed up at the door, causing a brief amount of confusion – turns out the guys in Obsidian’s Dream had reverse pranked us and had Fighting Burrito tacos delivered! Elizabeth Zimmerman turned in a killer set of original tunes and jazz standards (and a jazzy cover of an Obsidian’s Dream tune! ), Stewardesses got people out on the dance floor, and during the Obsidian’s set they had guests Britches and Hose join them on stage for their song “Plant Life” before diving into a version of The Who’s “Baba O’Reilly.” Doctor Murdock rocked a set that ended with “Staying Alive,” and Christopher the Conquered whipped things into a frenzy with his new trio format. All in all, a fun evening for everyone, and we’re glad to work with DG’s Taphouse in Ames to plan such events. Besides the new albums in our store, also check out new items, like the official Obsidian’s Dream shirt, and the most recent Elizabeth Zimmerman album – more from her later, as she’s going to be a future Nova Labs artist! We’re already making plans for our January release show, with some announcements coming soon, as well as the super deluxe limited Flavor Basket box set coming out next month…and who knows what else we’ll cook up?